Welcome to Enviro Consulting System, Inc.
Enviro Consulting System, Inc. have been in the business for more than 20 years, proudly serving the community. Our services, competitive prices, and overall value are why customers keep coming back. Located between Dallas and Fort Worth, we can meet all your needs anywhere in the metroplex or anywhere in the state of Texas. 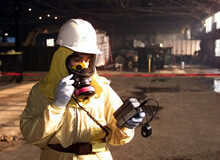 If you have a need to test for asbestos or mold, in a commercial or residential property, please give us a call. Or if you already have tested and you need a consultant for asbestos abatement or mold remediation, we are the right people to call. We also do Environmental Assessments (Phase 1,2 and 3).